Can anyone take Surrey's youth system offline? Come on now. Were you living under a rock? Surrey cantered to the title like jacked-up stallions in a race against ageing beach donkeys, their winning margin over second-placed Somerset a whopping 46 points. Their batsmen accumulated runs with remarkable ease, their Morne Morkel-led bowling attack demolished batting lineups with impunity and a first Championship triumph since 2002 was secured. Rory Burns and his Picasso-sketched batting stance collected 1,359 runs, Ollie Pope added 989 and Morkel ended up with 59 wickets from just 10 matches at a bonkers average of 14.32. Oh, so now you remember. Many of Surrey’s players have been involved in some sort of England setup - Rory Burns, Ben Foakes, Jason Roy, Tom Curran and his brother Sam with the senior side, Ollie Pope and Will Jacks with the Lions. Back home, the county have appointed Richard Johnson - the former Middlesex seamer - as assistant coach while Morne Morkel put the bejesus into opposition batsmen across the country by committing to a fresh two-year deal. 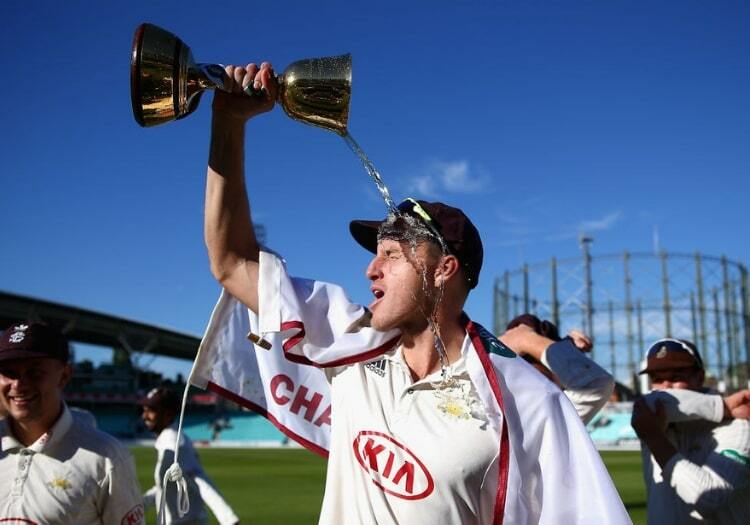 Much of the boardroom’s focus has been on an ongoing tete-a-tete with the ECB over plans for The Hundred but there has still been time to tie the vast majority of Surrey’s squad to extended stays at The Oval. Pre-season was spent in Dubai, ahead of the Champion County game against the MCC’s select XI. As if it were possible, Surrey have strengthened their bowling attack with the addition of two powerful allrounders. Jordan Clark joins from Lancashire after 10 years with the Red Rose and offers much more than his career record might suggest at first glance. Liam Plunkett’s switch down south from Yorkshire will be interrupted during the World Cup but in the margins of the season, when the Championship is now mostly played, he will give Surrey extra impetus (though his pace has noticeably dropped while on England duty of late). Dean Elgar returns as the club’s overseas for the early season. Amar Virdi is Surrey’s leading spin option after a breakthrough campaign in 2018. His amazing start to the season - spinning world-class batsmen out in the wind-chill of April and early May - gave his side the perfect springboard to their season. Though he tailed off a little towards the end, Virdi still finished with 39 wickets at 30.36, a more-than-respectable return from a 20-year-old rookie. With the bat, you could point to any one of the Three Feathers’ dazzling array of strokplayers and drop-anchors, the scary thing being that when one or two falter, coach Michael di Venuto can call on either a ready-made replacement or another hot property from the academy production line. As if we really needed this point illustrating, Ollie Pope and Jamie Smith (combined age: 39) put on 266 against the MCC in the Champion County match in Dubai, days after Will Jacks (20 years old) hit six sixes in an over and a century from 25 balls against Lancashire. A very strong title defence with an improved squad. 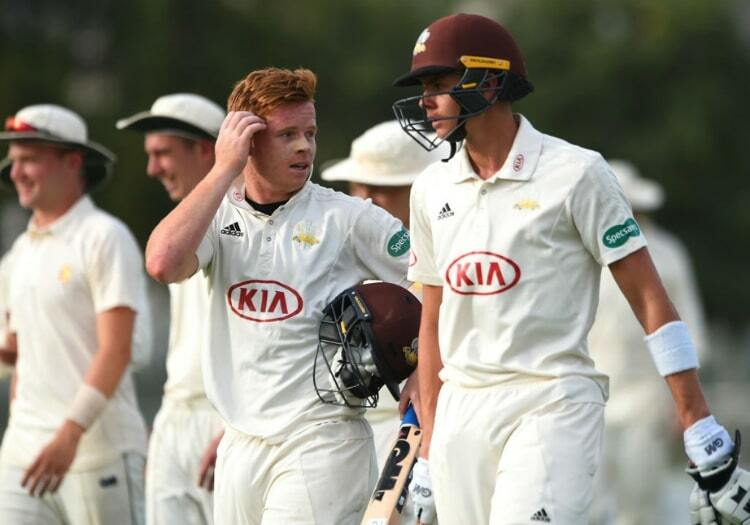 While Surrey’s success in 2018 led to Test summons for Rory Burns, Ollie Pope, Ben Foakes and Sam Curran, such is the schedule of the 2019 summer that they will be available for a large number of their county’s first-class games. Indeed, only three matches - two against Hampshire and one against Essex - fall into the Test block. All of those come during the run-in, though, so it will be fascinating to see whether or not that causes a derailment. Regardless, Surrey have so much strength in depth that they should be able to compensate comfortably for any absences. It would be a mighty shock if they were not part of the dogfight for the title, but expect it to be closer than last year.